Congratulations to all the believers on the birthday of Imam Mahdi (A) and also the 3rd anniversary of Islamic Pulse. Alhamdolillah. It’s only been 3 years since Islamic Pulse was launched and, by the grace of Allah, we have become a recognized media influence in the Muslim Ummah. Alhamdolillah. We thank ALLAH, respected scholars who provide guidance time to time, our generous donors, Islamic Pulse board of directors, graphics designers, presenters, editors, researchers, script writers, reviewers, and our dear viewers for being with us in this journey. We consider no other group more significant than the youth, who are potentially the bright hope for a better future. But how do we reach out to young people? What is it that we can do to gain their interest? In order to hasten the reappearance of Imam Mahdi (A), people need to be ready. Our mission is to strive to empower the masses with knowledge, direction and faith. We believe that through determination, perseverance and ideological maturity, we can rage against the darkness of Western Media and spread the light of the Holy Prophet (S) and the Ahlulbayt (A) far and wide. As Ayatollah Khamenei says, \"In our opinion, it is possible to defeat the Western Zionist Media Empire. It is possible to do this. if we all show willpower, we can accomplish this!” A revolution is on the horizon. But you need to be on board! ARE YOU STILL PAYING FOR THAT CABLE & DISH. PLEASE REALIZE WHAT YOUR RESPONSIBILITY IS. I AM NOT ASKING YOU TO NOT PAY FOR THAT CABLE & DISH... BUT BE PREPARED TO ANSWER TO IMAM E ZAMANA (AS) THAT WHY YOU PAID EVERY MONTH AND MADE THESE MEDIA STATIONS THIS STRONG THAT THEY ARE FREE TO DO PROPAGANDA AGAINST ISLAM BUT NOT EVEN MENTION THE DEATHS OF INNOCENTS, LET IT BE GAZA, LEBANON, IRAQ, AFGHANISTAN, PAKISTAN. I PRAY FROM THE BOTTOM OF MY HEART THAT ALLAH KEEPS YOU AND YOUR FAMILY SAFE BUT TRUST ME THAT SOONER OR LATER YOU WILL BE A VICTIM OF THIS UNFAIR, UNJUST AND BIAS MEDIA. Again, I pray that Allah protect you and your family. DISCONNECT THE CABLE AND DISH AT YOUR HOUSE. STOP SUPPORTING MAINSTREAM MEDIA!!! A prominent American author says the U.S. mainstream media does not properly inform the nation about the true extent of tax evasions by big corporations. "In the mainstream media, pretty much of what you hear is that the corporate tax rate is too high," says Paul Buchheit, author of "American Wars: Illusions and Realities" in an exclusive interview with Press TV's U.S. Desk on Saturday. Buchheit said that when U.S. corporate firms are "only paying 12% out of 35, that compares very low to other countries." "When people are well-informed, properly informed ... , you know it's just ..., people are astounded by the actual effect but you will hear very little of it in the mainstream media," he concluded. A Special speech by Professor Michael Keefer on Media Lies to Hot War: US-Israeli Threats Against Iran and the Geopolitics of World War 3. The US and Israel are edging towards a war of aggression that would be openly genocidal. Prof. Keefer is analyzing: - the media (& state) deceptions that have been used to stir up war fever, - the economic and political instabilities that make war tempting to US-Israeli elites, - the plans of attack and defense (so far as they are publicly known), and finally - the larger imperial geopolitics of which the current aggressions are part. This event was Presented by the Social Justice Committee of Bloor St. United Church, Toronto. [27 May 2012] Western media tight-lipped over Bahrain - English Anti-regime demonstrators in the Bahraini village of Dair have blocked roads and set tires on fire in an act of protest against the ruling Al Khalifa regime. Meanwhile, Bahraini regime forces attacked the houses of leading protesters in Salihiya and arrested dozens of people. The regime forces also fired at anti-regime protesters at Bilad al-Qadim village. On Saturday, several protesters were also injured when security forces fired tear gas and stun grenades in the village of Sitra.Bahrain is in the midst of an ongoing revolution that started in mid-February 2011. Since then, scores of people have been killed and thousands sent to prison. Press TV has conducted an interview with Ibrahim Moussawi, political analyst, to hear his opinion on this issue. Syrian media reports reject the opposition\'s latest accusation that government forces used chemicals in Damascus countryside. Syrian media say claims of a gas attack by the army in al-Nabek are completely false and baseless. They\'re calling the allegation an attempt to justify the recent defeats of terrorist groups in their confrontations with army units. This comes a day after the foreign-backed opposition accused government troops of using poison gas. Back in August, hundreds of people lost their lives in a nerve gas attack around Damascus. Both sides blamed each other for the attack. Later on, the Syrian government agreed to give up the country\'s chemical weapons arsenal when an agreement between the U-S and Russia averted an attack on Syria. 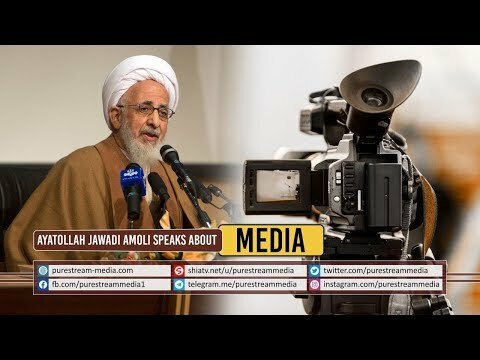 Soft War against the Media Mafia - English subs Clear emphasis by the Leader, Ayatullah Sayyid Ali Khamenei, to engage in the soft war. This is not the first time the leader has unveiled the fact that the media empire today is at the service of the zionism. Video Tags: Clip - Lovely Moments of Leader Khamenei With Basij - 23 Nov 2016 - inQiLaBi Media کلپ-ولی امر مسلمین سید علی خامنہ ای(حفظہ اللہ) کے ہفتہ بسیج کی مناسبت سے بسیجیوں کے ہمراہ عاشقانہ مناظر کی جھلکیاں! Video Tags: Clip - Ayatollah Khamenei's 7 quotes about Jesus Christ - inQiLaBi Media - English ولی امر مسلمین آیت اللہ سید علی خامنہ ای (حفظہ اللہ) کے حضرت عیسیؑ سے متعلق7 اقوال!